ScripZone expands the ability of UnitedScrip's fundraising program enabling your organization to reach its fundraising goals by giving your members, their families, and their friends, next door or across the miles, access to a proven method of fundraising. ScripZone is direct and hands-free, and does not require you or your friends to buy unwanted items. Remember, Scrip is the one fundraising program that offers the gift cards everyone loves to give, receive and use everyday. Our goal is to provide you with the opportunity to positively impact the needs and goals of your organization, by making every purchase you make profitable for your organization! Scrip Makes it Easy, but only YOU can Make it Count! Begin today! 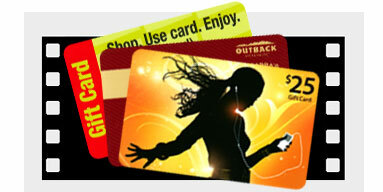 Support your organization by continuing to use your gift cards for your everyday shopping! ScripZone ordering is available 24/7.